It’s been a while since I posted here… and I just wanted to document something I thought about quite a bit when I was hiring SQL Server Database Administrators (DBA); not every DBA has the same interests, and not every workplace has the same needs for a DBA, and while I initially expected certain things of some DBAs, I was often surprised. There was a considerable uproar in the press at the time, which mostly seemed to focus on these words as if they were a radical new idea… but I think I just considered his words to represent a broad concept that seemed very familiar… probably so familiar in fact that no-one ever says them! 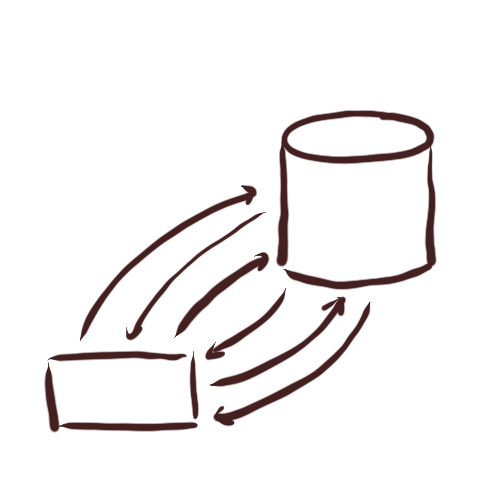 Today I am continuing my reminiscence over system design problems I have addressed in the past, this time looking specifically at a data-structure a colleague of mine used in a particular situation, and the consequences of that decision. Let’s begin! We have to store the full result set for later analysis as XML, as we paid a lot for it and it may prove to have useful fields deep in the belly which we may need to access one day. While I am writing this in 2017, the environment I am referring to was at a client from about 2008 – 2010, at a time when the client was using SQL Server 2005. While later versions of SQL Server have introduced functionality that might have helped us here (such as Sparse Columns) they were not available to us then. I was reminiscing over my last two main roles (which together account for 10 years!) and I reminded myself of some of the challenges that I faced in that time. In two separate businesses I found coding styles and system-design scenarios that seemed to have been borne from some nugget of wisdom that seemed to me to have been miunderstood, and had led to code that had huge problems. As ever, I do not want to pretend that the lessons I learnt from these scenarios can always be applied; I imagine that in-general my conclusion will be something like ‘your mileage may vary’… but I hope that I can at least demonstrate some harm came about from these misapprehension in the given scenario. Today I want to discuss the idea that ‘SELECT *’ is bad; and what I really mean in this context is that ‘selecting all the data from a record in a database table is wasteful‘… with a possible additional proviso added ‘…if you don’t need it all‘. To try and put that into a wider context; the ideal some people have in mind is that we should only retrieve data from a database if we really need to use it. 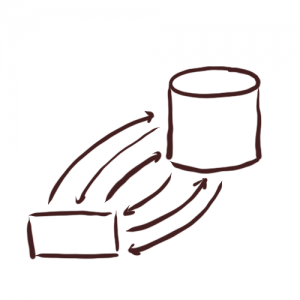 It is probably also appropriate to mention that the environment I am referring to was one in which only very simple Object Relational Mapping (ORM) was in-use, meaning that selection of records was generally hand-written and mostly referred to a single table at a time, and not companies with huge volumes of database use. The Client had windows services that processed messages from subscribed devices. There were two services: one which did the main processing of messages that primarily processed details of the message type and time, and the second service processed GPS positions associated with each message. For example: a message might indicate that a journey had ended, and the first service would calculate the consequences for ending a journey, and the second service would figure out where the journey had ended and the consequences of that. Sometimes the success or failure of a new system function can end up depending on one feature; and if that feature or function is missing the whole reason for the system existing can be undermined. Who Are We… I Mean… Who Am I Kidding? Some of the earlier posts on this blog use ‘we’ and ‘us’ to hint or suggest that 42 IT Solutions has a team of like-minded people working for a better future in IT. I’m sure there were any number of clues that this was ‘enterprise-speak’; but as things stand 42 IT Solutions is effectively only one person: me, Nigel Rheam. 29 September 2016 is actually a Thursday! The duplication I am thinking of is that in addition to providing the date; 29/09/2016, they have also chosen to provide a refinement; ‘Friday’. …though you probably won’t need any more than 20 bug reports to find outdated or incorrect tickets! I’ve just had another reason to hunt-out and refer to this blog post professionally, in an effort to encourage a client that having a bunch of years-old tickets assigned to someone but ‘on-hold’ when the original ticket requester has left the business is a sure-sign that really those projects are never going to happen and are probably not a good idea anyway! We made a mistake recently, breaking one of our own rules; Be Consistent. Now, of course it is not always possible to ‘be consistent’, sometimes because you are doing something truly new; but often because one incorrectly sees differences – when you may be better off seeing patterns and similarities (and thus implementing something to fit an existing pattern)!